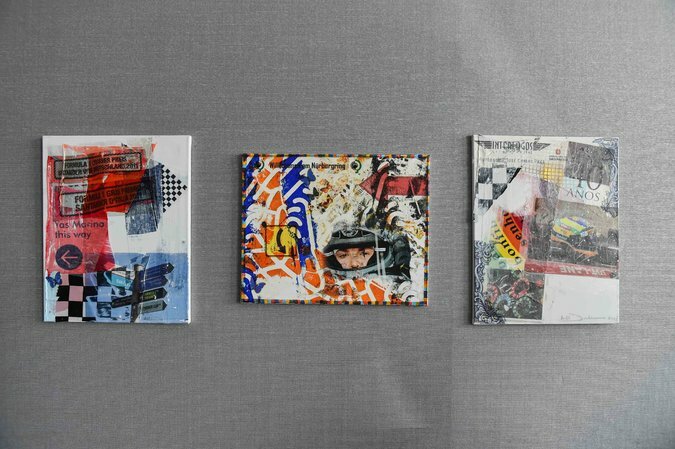 Collages by the British artist Mark Dickens, displayed at the Yas Marina Circuit during the season-ending Abu Dhabi Grand Prix. Formula One racing has rarely lent itself well to works of art. Of course there have always been painters of pictures of Formula One cars. And the Metropolitan Museum of Art in New York has long had a 1990 Ferrari racing car in its design collection. But recently the series has begun to attract other kinds of artists. What some of these artists find appealing is the sport’s human story as well as the general environment — the cars, of course, but also the geometry of it all, with the tracks, tires, flags, even pit stops.